Lurking in the tropical mountain forests of northern Queensland is said to be a savage beast which is able to disembowel a kangaroo with ease and to have little fear of humans. But does the Yarri or Queensland Tiger really exist? Eyewitness reports by people travelling in the more remote areas of northern Queensland speak of a savage creature over 5 feet long that can climb trees, spring like a tiger and climb trees like a leopard. It has been seen to kill calfs, slaughter kangaroos and feast on wallabies. But without a body to study, scientists are reluctant to accept that this strange killer is a reality. In this book cryptid expert Larry Jaffer reviews the evidence for this mysterious beast and comes to some surprising conclusions. Cryptids are animals, or plants, which are believed by some people to exist, but which have not been accepted as real by the wider scientific community. 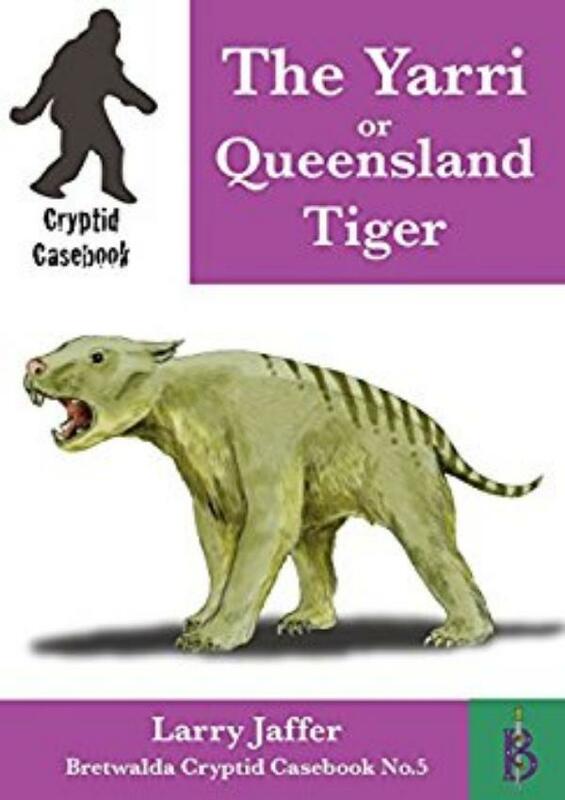 These cryptids are animals which have been seen, and sometimes photographed, but for which no definitive evidence has been This series of Cryptid Casebooks explores the world of the cryptids. Larry Jaffer has long had an interest in the fortean mysteries that surround us. He grew up ion the Surrey when the Surrey Puma hit the headlines, and went out in search of that elusive beast - without success. Since then he has researched a myriad of other cryptids, including Sasquatch, the sea serpent, the Beast of Bodmin and others. He has also investigated UFO sightings and tracked down numerous ghosts and poltergeists. He has a voluminous archive of witness interviews, photos and other data to back up his writings on the subjects of the unusual, paranormal and downright odd.